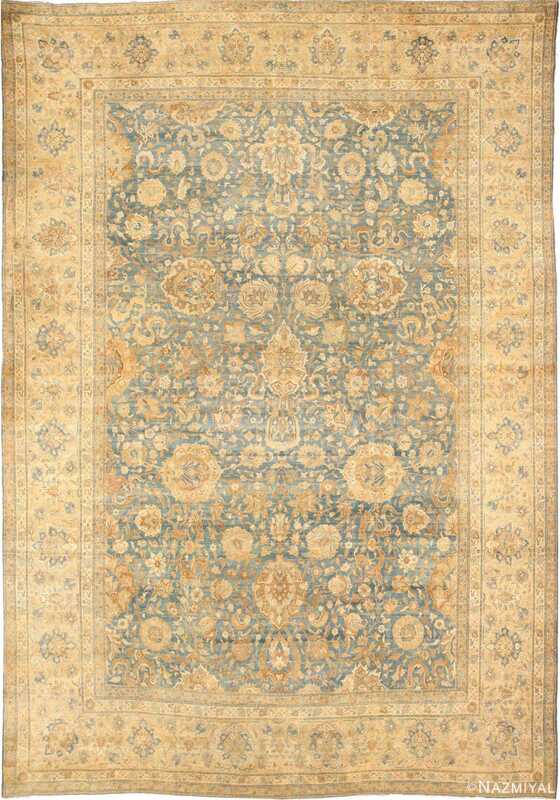 Antique Persian Kerman Carpet, Country of Origin: Persia, Circa Date: 1900 — This Antique Persian Kerman Rug combines detailed floral patterning with an intricate border. 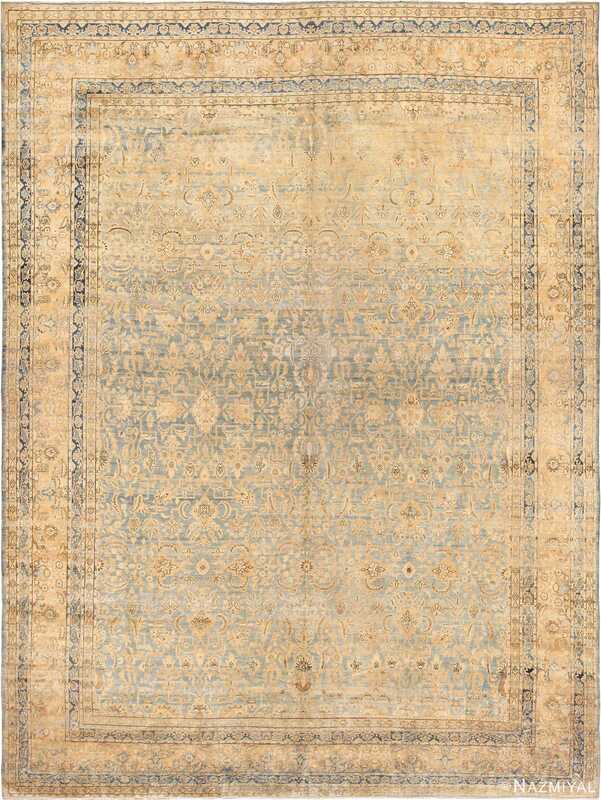 The tripartite outermost border sets a pleasant, royal tone for the remainder of the rug. This border is repeated again as a container for an inside-framed network of winding, contrasted flower motifs making for an overall aesthetically traditional rendering of Persian plant life. 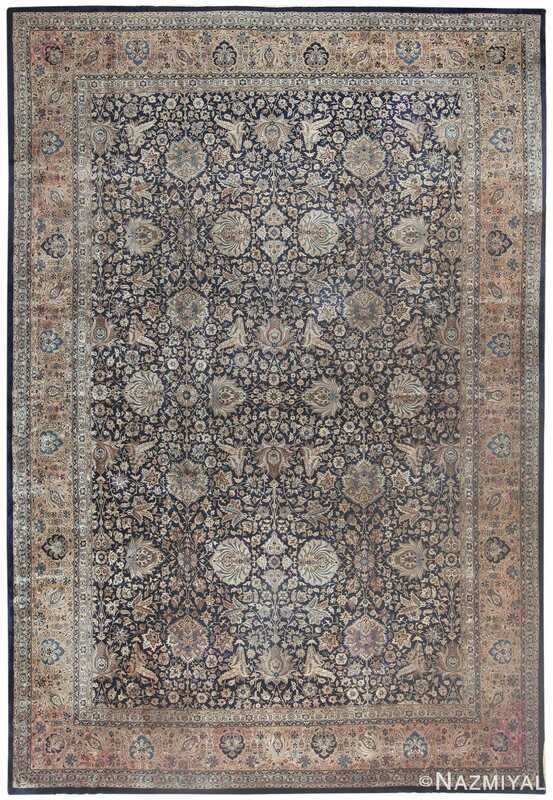 Viewers of this rug will appreciate the symmetry and detail as well as the disciplined use of repeating floral crests and patterns. 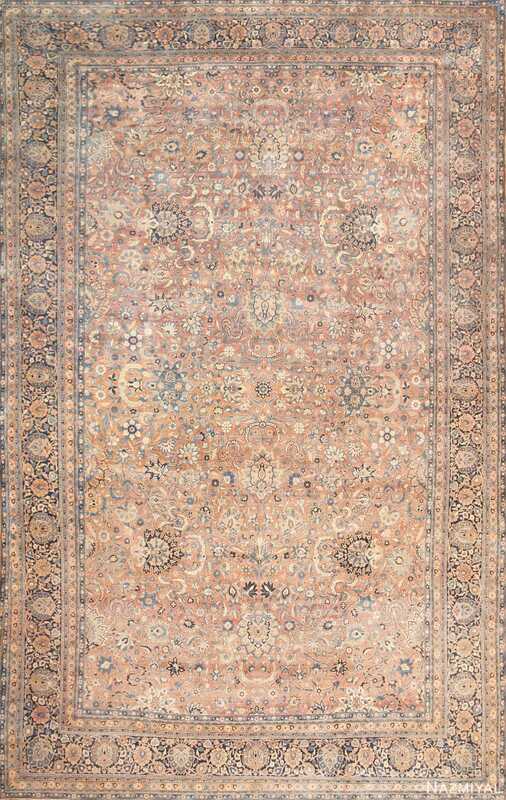 This Antique Rug presents a classic, boldly-themed mosaic of detailed ornamentation.